The Estonian National Museum and the Museum of Estonians Abroad are seeking material for a joint exhibition on ESTO and are asking for help from anyone who has ever attended the festival. The ESTO festival, which was born in exile as the Global Estonian Cultural Days in 1972, will be held in Helsinki, Tallinn and Tartu in 2019. The exhibition the two museums are looking to put together is to mark the occasion of the festival returning home, the Estonian National Museum said in a statement. The museums are interested in people’s memories, as well as photos, films, advertising materials, programmes, souvenirs, letters and postcards sent to family and friends and any other pertinent material, the statement said. The Estonian National Museum, based in Tartu, Estonia, and the Museum of Estonians Abroad in Toronto, ON, have put together a questionnaire, available on the websites of both museums (erm.ee/esto and vemu.ca), that will help past attendees put their memories into words. The museums, however, also hope to acquire general impressions of ESTO as well as physical mementos. The questionnaire is available in both Estonian and English. The materials sent to the Estonian National Museum will continue to be held thereafter in the museum’s collection so that researchers have access to them in the future. 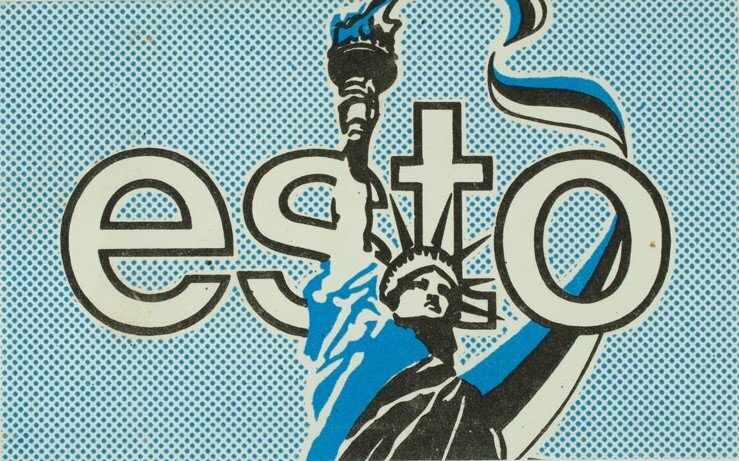 Cover: An old ESTO-themed chocolate cover (courtesy of the Museum of Estonians Abroad).